This Daily rythm chart shows with pictograms the daily routine for snacks in the morning and afternoon for children. In the morning fruit and a drink, and in the afternoon and a cookie and a drink. 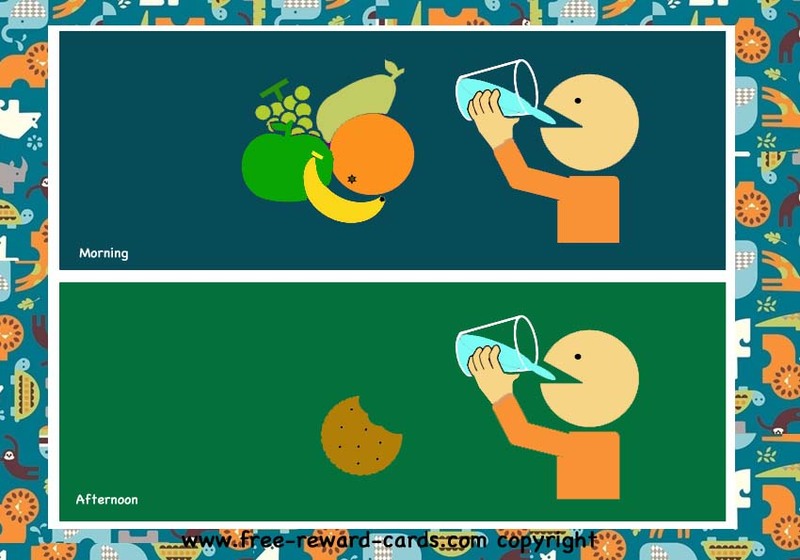 All these daily rythm pictogram cards are free printable via www.free-reward-cards.com. The cards are ment to make parenting more fun and easy for parents and children.